Healthy primary (baby) teeth help kids chew their food and aid in digestion. they are one of the most important parts of children's oral development as they grow up. Humans grow two sets of teeth in a lifetime. Primary teeth are the first set to develop, around the time children are a year old. Why do we have primary teeth? Primary teeth allow children to chew their food efficiently. This allows their bodies to better digest food and absorb the nutrients. Baby teeth also act as placeholders for the permanent teeth as they erupt, guiding them into the proper positions in the jaw. Why do primary teeth matter in orthodontics? Because primary teeth guide the erupting permanent teeth into their proper positions, when they fall out too early, the permanent teeth may then erupt in the wrong positions. This can make orthodontic treatment necessary in the future to correct the misalignment. A good oral hygiene routine is your number one ally in decay prevention. This includes brushing and flossing your child's baby teeth regularly so that decay doesn’t develop (which is a primary cause of tooth loss in children), and visiting the dentist for cleanings and checkups. If you child plays sports, consider getting a mouth guard to help prevent the primary teeth from sustaining any damage from impact. What if my child looses a primary tooth too early? 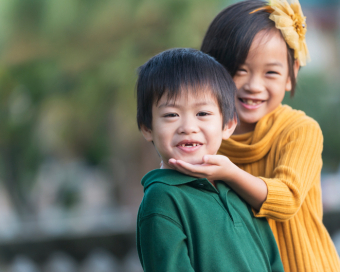 If your child does lose a primary tooth prematurely, preserving the space is very important. Visit an orthodontist for a consultation and exam as soon as possible. The orthodontist may prescribe a device called a space maintainer, which will "maintain" the space left by the missing tooth until the adult teeth to erupt. The orthodontist can also provide insight and guidance on oral health care, such as demonstrating more effective cleaning techniques to keep any more teeth from falling out. If you have questions about your child’s primary teeth and their impact on orthodontics, please feel free to contact our Vancouver orthodontist's office at his office in either Surrey or Langley for a consultation!